Over the past few years, hundreds of individuals affected by the anticoagulant Xarelto have sued Bayer/Johnson & Johnson, claiming that the drug company failed to warn individuals about the potential serious bleeding risks associated with the drug. The federal judge overseeing the litigation has ordered the parties to select various cases to go forward for additional discovery and trial as part of the “bellwether trial” selection process. Starting late last year, Xarelto litigation has been consolidated before Judge Eldon Fallon of the Eastern District of Louisiana. Around 400 different Xarelto cases have been floating around the federal judicial system, so multidistrict litigation (MDL) is a tool that the parties use to avoid doing the same discovery over and over again while making sure any pretrial rulings are consistent across the board. Basically, it is a class action lawsuit for the purposes of pre-trial discovery and then the court usually sets in some bellwether trials so both parties can see how the cases are likely to play out. So a big part of the MDL process involves selecting a few individual cases to serve as bellwether cases. These are used as a sneak preview of sorts for the parties to see how juries will react to various aspects of trial. Earlier this month, Judge Fallon ordered the parties to meet prior to June 15 and come up with a process for selecting between 40 and 60 potential bellwether cases. Once these cases are selected, the parties will go though specific discovery to eventually determine which cases should eventually be tried. The cases selected from the “bellwether pool” will be set in for early trial dates, giving both plaintiffs and defendants the opportunity to see how things work out in the courtroom. In the May 4th order, Judge Fallon also ordered the plaintiffs to submit fact sheets, which are used by the defendants to obtain medical records along with additional information about each case. Of course the defendants have to put in some effort too, as Judge Fallon ordered them to respond to plaintiff’s fact sheets by providing information about sales representatives and any contact with physicians involved in each case. Plus, he decided to allow the plaintiffs to bind together up to 100 complaints per filing to avoid plaintiffs having to pay 100 different filing fees (but ostensibly requiring them to find the most powerful stapler known to mankind). Being a anticoagulant, Xarelto was designed to increase blood flow in those who are at risk of blood clotting, stroke, and heart deficiency. The problem is, Xarelto does too good a job of increasing blood flow in certain individuals. 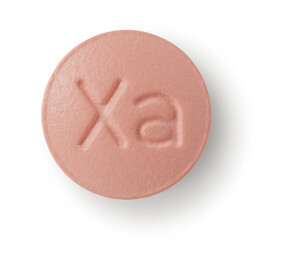 Granted, every anticoagulant carries a risk of bleeding injury, but the problems with Xarelto have been consistent and troubling since the drug came on the market. The drug’s big selling point is that it patients on Xarelto do not require blood monitoring like those on Warfarin. But studies are now coming out (rather intuitively) suggesting that monitoring those on Xarelto may make it easier to avoid complications arising from bleeding. Perhaps the biggest issue with the drug, though, is the fact that its effects cannot be reversed should a patient have an emergency while on Xarelto. Older drugs like Warfarin have an antidote, which can be used to avoid any issues in the event of an emergency. The crux of the litigation against Bayer/Johnson & Johnson claims that the company simply failed to warn patients about all of these potential harmful effects. That is what this is about. No one — at least not most plaintiffs’ lawyers — are arguing for a recall. This might be the right drug for some people in some circumstances. But people deserve to know the risks of what they are taking. The big thing is that with Warfarin available, people had a real option and a better option in too many cases. They just did not know it. Selecting the bellwether cases is just the next step here, which may or may not produce a settlement between the various plaintiffs and the drug company. Should the parties not reach a settlement, there is the potential for hundreds of individual cases to go to trial within the federal court system. Xarelto Settlements: Will They Settle and How Much? What is the settlement value of the Xarelto bleeding claims? Good question. The Pradexa lawsuits are seen by many plaintiffs’ lawyers as a road map to the value of the Xarelto claims. Boehringer Ingelheim paid$650 million to settle most of those caes. I suspect the average value of these cases will be much higher but that remains to be seen. The picture will get a lot clearer if these bellwether cases go forward. Plaintiff’s lawsuits in these cases allege that these drug companies have willfully, wantonly and with malice withheld their superior knowledge of increased risk of irreversible bleeds in users of this drug. Why? They did this because they wanted to get their drug on the market and keep it on the market.